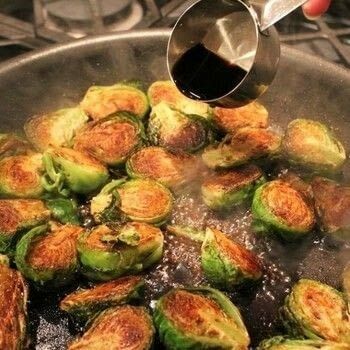 Super easy recipe for balsamic glazed Brussels sprouts. 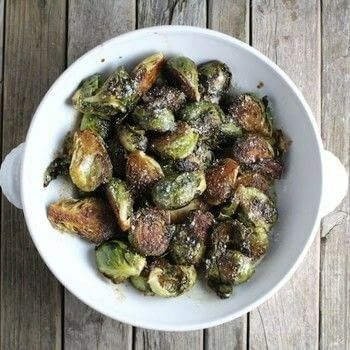 https://www.cutoutandkeep.net/projects/balsamic-glazed-brussels-sprouts-taste-and-see • Posted by Holly S.
Fast and delicious, bacon and Parmesan are optional! Next cut each one in half length-wise. Sprinkle with salt and pepper, then rotate the Brussels Sprouts onto their other side in the pan and sprinkle again with salt and pepper. Sauté for 2-3 more minutes. Drizzle with balsamic vinegar and cook about 1-2 more minutes in the pan. Slide the Brussels Spouts onto a serving dish and dig in!